A Beautiful Night for Shakespeare: TSC Opens "Taming of the Shrew"
Tennessee Shakespeare Company is taking a Vaudevillian approach to The "Taming of the Shrew," at the Dixon Gallery and Gardens. 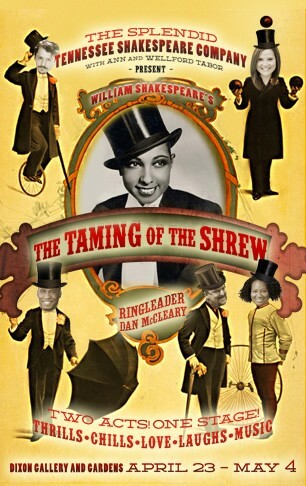 It's a fun concept, especially considering Shrew's debt to Commedia dell’arte, the Italian street theater that employed stock characters and treated well-known plots as empty vessels to be filled with stunts and gags. According to press materials, "The TSC production will place the story in 1927 Memphis in the newly-constructed home of Hugo Dixon on Park Avenue... The year and geography also give us an opportunity to respond to the Jim Crow-law positions of submission for people of color in America, both socially and in the entertainment industry." Sounds like director Dan McCleary and Co. have taken one of Shakespeare's more controversial works and ramped things up. For details, here you go. The cast of "Camp Logan"
Clocking in at two-and-a-half hours, Camp Logan is a play in serious need of a high and tight military-style haircut. But this humor-infused, and ultimately devastating peek inside the racial pressure cooker that resulted in the 1917 Houston riot is well worth the time investment, if only for the history lesson. Celeste Bedford Walker’s play is more of a character study than a straightforward narrative. Inspired by actual events, it follows a platoon of black soldiers stationed at Camp Logan in Houston, TX, in the months leading up to the United States' entry into WWI. The men to whom we're introduced have served their country under Teddy Roosevelt and chased Pancho Villa throughout the American Southwest, but it's clear that they are officially regarded as blacks first, soldiers second and therefore assumed to be lazy, lecherous, and unable to get by without the strictest rules and white supervision. Camp Logan introduces audiences to class clown Gwelly (Jose Joiner), the righteously indignant Joe Moses (Kenon Walker), the appetite-driven Boogaloosa from New Orleans (Cooli Crawford), Franciscus the straight-laced MP (Jernario Davis), and Hardin (Emanuel McKinney), a young intellectual from Minnesota, inspired by the writing of W.E.B. Dubois to serve his country, and prove to the white population that his people are worthy of something better than second class citizenship. We are also introduced to the drunken white Capt. Zuelke (Bart Mallard), and Sgt. McKinney (TC Sharpe), a hard-assed drill Sgt. tasked with keeping his men from being caught in Jim Crow traps, and taking the brunt of the Army's top-down racism. There are two primary forces driving the action in Camp Logan. The immediate threat is rooted in the expectations of whites as Houston's black population becomes empowered by the mere presence of certifiable African-American heroes. Blacks that won't boot-lick and deliver service with a smile under even the most humiliating circumstances are deemed insubordinate. And over time it becomes clear that no fairly-devised plan can prevent the soldiers from run-ins with local law enforcement. The second primary conflict is born from the fact that these black soldiers have been to Cuba and Mexico where they were treated the same as whites. There's concern within the military that America's enemies could easily flip black allegiance by pointing out America's obvious inequalities. The irony, of course, is that it's red blooded Americans and not the "German Huns" who make it clear to the soldiers stationed at Camp Logan that their war isn't overseas. Is there anything more disturbing than the image of an African-American performing broad race-based comedy in blackface? 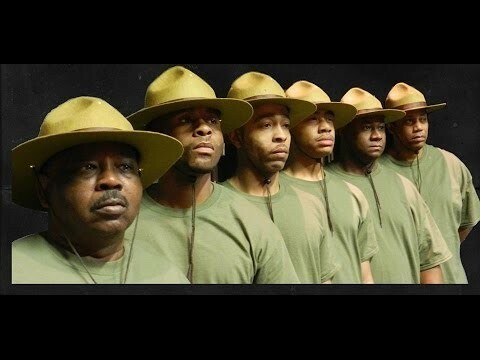 If there is it's Camp Logan's depiction of black soldiers finding joy and empowerment in these performances for the entertainment of appreciative white audiences. Strong medicine, effectively presented. In real life things in Houston came to a head when two Houston police officers broke into the home of an African American woman, dragged her partially naked into the street, and assaulted her in front of her children. When military men interfered they were shot at and beaten. Although all of this happens off-stage Camp Logan follows this basic narrative, stressing the psychological effect of constant dehumanization. The slow-moving nature of Walker’s's play requires some patience. This is exacerbated by a fantastic cast that's still struggling to find firm footing in a meandering piece. But patience will be rewarded with an incredible story that's been all but swept underneath the rug of history. Those keeping up with the news have no doubt encountered the story of Cliven Bundy, the rancher who became a Conservative folk hero following a standoff with Federal troops. Bundy lost some of his strongest public supporters when he said out lout what smarter politicians prefer only to say by way of deracialized public policy: Blacks might be better off in slavery. This idea, which has never gone away, comes from the belief that without the great white father to take care of them and encourage them to work a little harder than they might on their own, blacks fall into savagery and dependance. This recently-expressed idea is a guiding principle at Camp Logan. The namesake play strongly, and perhaps even unintentionally, suggests that maybe things haven't changed as much as so many of us seem to think they have. The Bluff-City Tri-Art Theatre Company is dedicated to producing new and lesser-known works. Camp Logan is a great example of just how valuable our independent-minded companies are, even in a fairly rich and diverse theater environment. For details and ticket information click here. There are few annual dance events that I look forward to the way I look forward to New Ballet Ensembles' SpringLoaded concerts. These days Memphis Jookin' is so ubiquitous that I'm tempted to insert the expression "peak jookin" into our ongoing cultural conversation. But NBE was the first local company to mix Memphis street forms and classical dance and over time styles have evolved within the company that can't be easily described as Jookin', Ballet, or Flamenco. It is instead, as I described in this truncated history of Memphis' "Gangsta Walk," some new kind of Rock-and-Roll. This year NBE is doing something especially nifty. If ever there was a ballet begging for a little Memphis street it's “Coppelia, which tells the story of an inventor who has created a life sized dancing doll, and the villager who falls in love with the lifeless automaton. If you don't know why a robot ballet based on a series of ETA Hoffman stories would be perfect for a company with street cred, maybe this video shot at Collins' barber shop can clue you in. New Ballet's "Coppelia ReMix”, tells the story of a jookin’ Dr. Coppelius and the yong people who visit his toy store. Choreographers include Kaori Ogasawara, Robin Sanders and Artistic Director, Katie Smythe. In addition to "Coppelia" the ensemble will also perform new repertoire by guest choreographer, Francesca Harper and a new Flamenco work by Noelia Garcia Carmona to original music by Roy Brewer. Last year Carmon's duet with Shamar Rooks, featuring original music by Brewer was a season highlight. 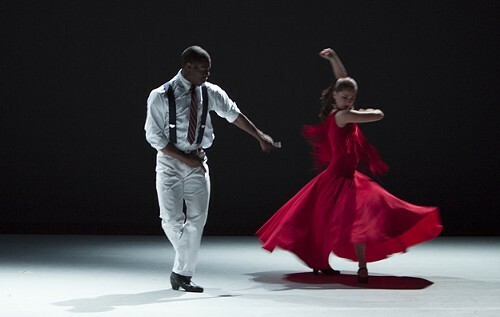 New Ballet Ensemble Presents Springloaded from New Ballet Ensemble on Vimeo. For details about SpringLoaded you can visit NBE's website, here. So who exactly are The Hot Foot Honeys? They're Memphis' brand new (and ONLY, to the best of my knowledge) tap dance company. The group is presenting its inaugural show, "HeArt & Sole: A Rhythm Revue for Tap Lovers," April 25-27. 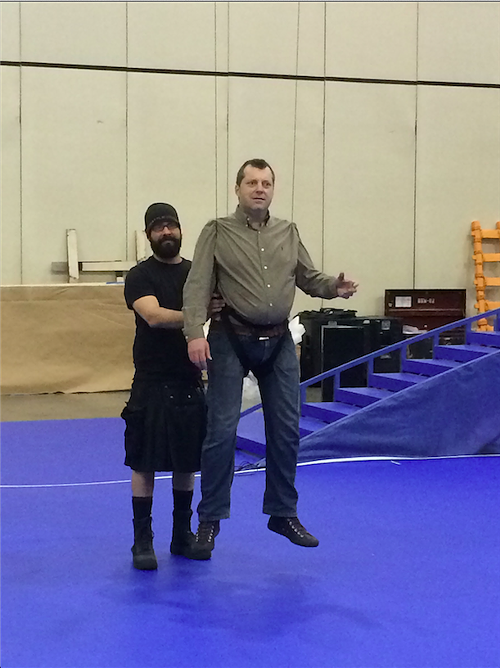 Although rooted in tap the show features dancers from many traditions, ranging from Africa to Ireland. Memphis dancer Marianne Bell founded the company noting that many other cities, such as St. Louis, Chicago, Atlanta, and New Orleans all have established tap communities," while "Memphis— a city that can't stage a musical without a flashy tap break— does not. I don't have any footage of the new company, but I do have a preview clip from an outdoor tap/vaudeville routine Bell staged for a tree-themed environmental concert. This fun piece takes inspiration from beatnik culture. Guest artists performing with the Hot Foot Honeys include Artistik Approach, Bridging Souls Productions, Inis Acla School of Irish Dance, Wayne M. Smith, and steppers from Phi Beta Sigma. April 25-27, 2014 at Evergreen Theatre in midtown. 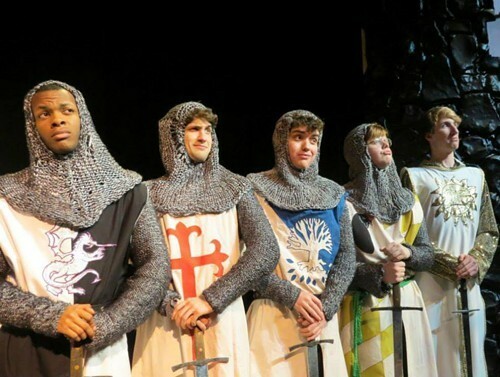 The Orpheum Theatre has announced nominees for the 2014 High School Musical Theatre Awards. The award ceremony takes place Monday, May 12th at 7:00 p.m. Over 200 students will perform on the Orpheum stage and the winners in the Lead Actor and Actress categories will travel to New York to compete nationally in the Jimmy Awards. 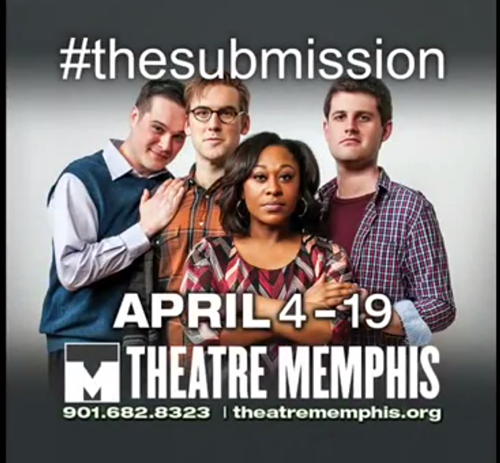 If you're curious, Theatre Memphis has made a trailer. I'll be there for opening. Look for a review in Wednesday's paper. Tripping: New Moon Revisits Horton Foote's "Trip to Bountiful"
Clearly The Trip to Bountiful, currently on stage at TheatreWorks, has spoken to a diverse audience since it arrived as an NBC TV drama some 61-years ago. But I swear, you need a little Texas in your blood to really get it. Bountiful is a small play with epic intentions. It’s the “there and back again” story of Carrie Watts, an elderly woman living in Houston with her struggling son and his prattling wife. She burns with the Salmon-like need to return to Bountiful, TX , her hometown, just one last time before she dies, to see her old house on the banks of the Brazos river, smell the brackish Gulf air, and listen to the sound of the mockingbirds. 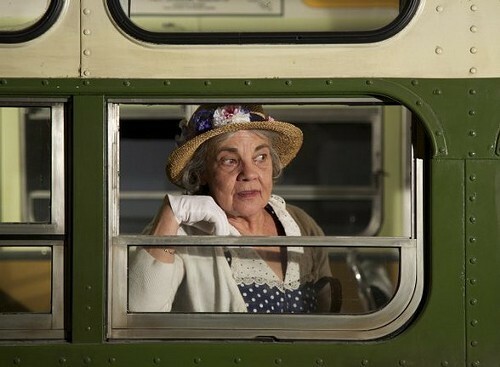 But being a prisoner in her son’s home (for “her own good” of course), she has to sneak out and go on the lam. The play’s drama is provided by the ensuing chase, combined with an unusual look at the usual perils encountered by a “babe in the woods.” The rest is a personality study, and a meditation on changes in life and the American landscape, and all the things we lose along the way. The supporting cast of characters are relatively benign creations, although it’s easy to imagine most of them as the same people you’ll meet in a Jim Thompson noir on the rare day when they aren’t feeling malicious. New Moon was established as a company on a mission to produce difficult, sometimes anti-commercial work, but has evolved considerably, building a strong, well-deserved reputation as an actor’s showcase, and working with more audience-friendly material like Death of a Salesman, Vanities, and now The Trip to Bountiful. Sylvia Barringer Wilson makes Carrie a soft-spoken spitfire, and the play is at its best when she leads the audience to wonder if Bountiful is a real place, or an invention of subtle dementia. She may even be a little too soft-spoken at times, in a nearly cinematic performance that’s done no favors by a lighting design de-emphasizing the intimacy of TheatreWorks. Tracie Hansom makes a convincing bully of Carrie’s Coke-swilling, glamor-minded, gospel music-hating daughter-in-law Jessie Mae, and one almost longs for the moment when Carrie’s son Ludie, ably played by Joshua Quinn, snaps like the henpecked Gooper in Cat on a Hot Tin Roof and tells Jessie Mae to lay off his Mom. That never quite happens. Even though Ludie tries to establish some ground rules, we leave the theater knowing that he’s not very effective, and not much has changed. Gene Elliott and Emily Marie Burnett are especially good as the fresh-faced newlywed Carrie meets on the train that takes her closest to Bountiful, and the small town Sheriff who does a good turn. The minimal scenic design effectively places the action between rows of telephone poles. An even more forced perspective might have made TheatreWork’s wide, shallow playing area seem more compact, as would a lighting design that emphasized people over space. Don’t be mislead by any negative tone you may perceive in this review. I wasn’t knocked out by the production, but I was often engaged. And like I said before, I feel like I know these people. Like they could be family. And I would have preferred to spend the evening with them instead of watching them close up, but at a distance. The Trip to Bountiful is at TheatreWorks through April 13. For more information, click here. 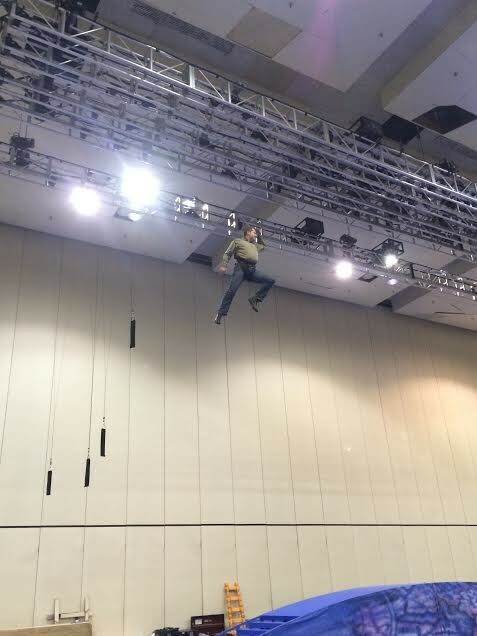 We've all seen stage versions of Peter Pan where the little boy who wouldn't grow up has flown erratically on some version of a rope and pulley system. That just wouldn't do for Ballet Memphis, so the company is using a computerized, joystick-operated system that insures a smooth flight, and a soft landing. 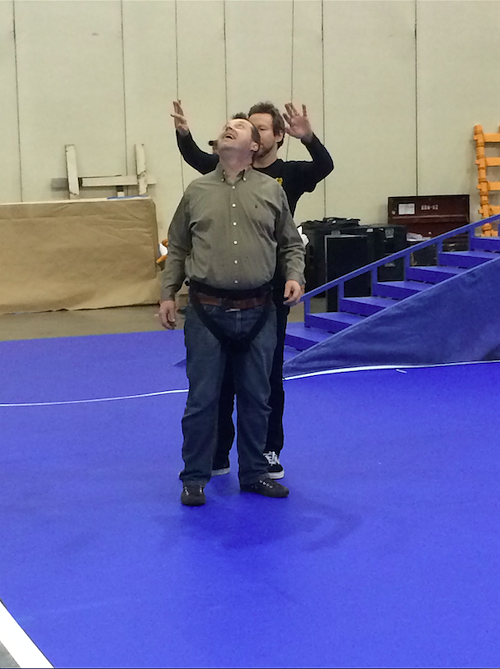 But why risk your top notch dancers on a test flight when there's a critic around? To learn more about how the fly system works you can click the video I shot below, or drop in for one of Ballet Memphis' pre-opening events. 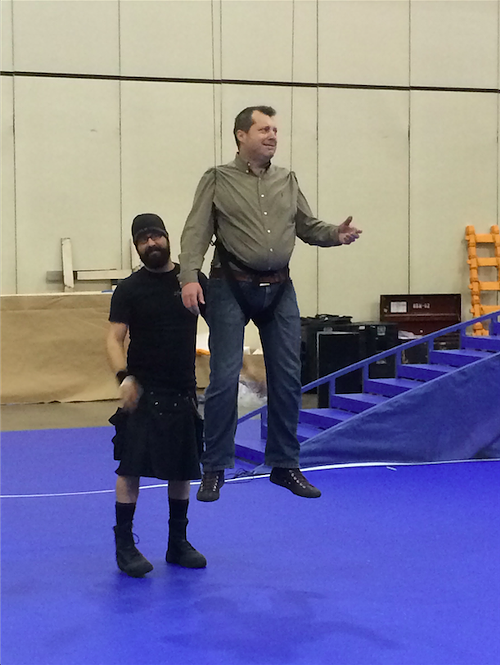 If you happen to be Downtown Thursday, April 3 you can drop by the Cook Convention Center Northwest Hall during lunch (11a-1p) to see flying rehearsals live. If you want to know more Choreographer Steven McMahon, Rhodes Professor Charles Hughes, and local artist Beth Edwards will be at Crosstown Arts at 6:30 p.m. for a Pan-related SPARK talk about the "loss of innocence."